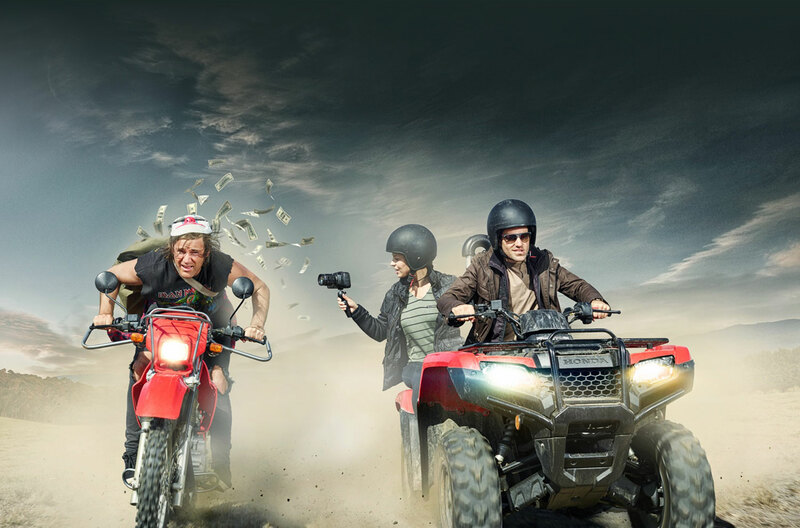 The revolutionary new Blackmagic Pocket Cinema Camera 4K features an all new handheld design that puts the latest advanced digital film technology into the palm of your hand. The Blackmagic Pocket Cinema Camera 4K has a 4/3 size sensor, 13 stops of dynamic range and dual native ISO up to 25,600. That means you get stunning HDR images and incredible low light performance. The external controls give you quick access to essential functions, whilst the large 5-inch touchscreen makes it easy to frame shots, focus accurately and change camera settings. Images are recorded onto standard SD/UHS-II or CFast 2.0 cards in RAW and ProRes at up to 120 frames per second. In addition, the Blackmagic Pocket Cinema Camera 4K has an Micro Four Thirds lens mount, built-in microphones, mini XLR input, full sized HDMI, 3D LUT support, Bluetooth, USB-C expansion port and more. Portable and Professional. Now you can shoot anything in 4K. The Blackmagic Pocket Cinema Camera 4K gives you the professional features you need in a portable design that can be used anywhere. The incredible image quality, advanced Blackmagic Design colour science and RAW recording features let you shoot images that rival professional digital film cameras. Elegant Modern Design. Portable, packed with features and fully expandable. The portable design gives you incredible mobility without sacrificing features. The highly compact body features a carbon fibre reinforced composite body that makes it extremely durable and lightweight, so you can take it anywhere. It features a super bright 5” screen, 4 built in microphones, built in recorders and external buttons and dials that give you fast access to the most important functions. You also get lots of mounting points, a mini XLR input with phantom power, Bluetooth control and more. 4K Digital Film Sensor. Excellent low light performance and wide dynamic range. 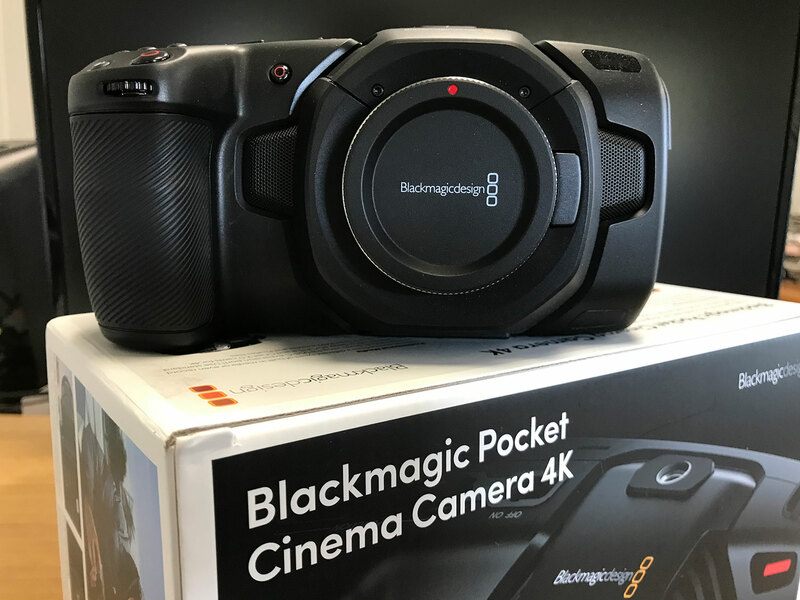 The Blackmagic Pocket Cinema Camera 4K features a full size 4/3 sensor that gives you 4096 x 2160 resolution with an incredible 13 stops of dynamic range for true digital film quality. It also has dual native ISO up to 25,600 so you get incredible low light performance. Record at up to 60 fps in 4K and up to a massive 120 frames per second for windowed HD. The camera features fourth generation Blackmagic Design colour science with film, video and extended video modes. The new extended mode gives you the latitude of film with the convenience of video, so you get great looking images without having to do a lot of work in post production. Large and bright 5” touchscreen makes focusing fast and easy. The super bright, 5” touchscreen makes it easy for you to frame shots and accurately focus, without having to carry around an external monitor or viewfinder. You get the same menus and interface found on URSA Mini cameras, including on-screen overlays for recording parameters, status, histogram, focus and peaking indicators, and playback controls. In addition, you can apply 3D LUTs so you can monitor the shot with the desired colour and look. Not only can you use the 3D LUT for monitoring, it can also be baked into the recorded footage. There’s even a speaker located near the screen, which makes it easy to quickly play back and review shots on set. Professional Audio: Built in microphones and a mini XLR input. The Blackmagic Pocket Cinema Camera 4K gives you professional high fidelity audio recording so you don’t have to carry around a separate sound recorder. The camera features a mini XLR input with 48 volts of phantom power for connecting professional microphones such as lapel mics and booms. There are also built in microphones with an extremely low noise floor so you can capture great sound on location. There’s even a 3.5mm stereo audio jack so you can use different types of video camera microphones. The new Blackmagic Design Pocket Cinema Camera 4K is available for hire, HERE.